Our Climate Solutions Town Hall on Tuesday was a huge success! A packed house had a clear message for our legislators: they must lead on climate. Stay tuned for more detailed report on the event. This Saturday, communities across the city will remember, resist, and rise together. 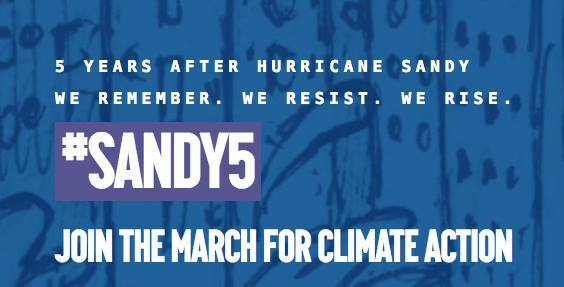 Join fellow New Yorkers in a march to remember the lives lost and the damage caused by Sandy. We’ll let Mayor de Blasio, Governor Cuomo, and Senator Schumer that we can’t wait for action any longer. We’ll meet at the western edge of Cadman Plaza, near Pineapple Street. Look for our Slay the Fossil Fuel Monster banner! Then we’ll march across the Brooklyn Bridge together. It’s a 350Brooklyn tradition! We’ll hoist up our pipeline monster and our 350Brooklyn banner and march down 7th Avenue. 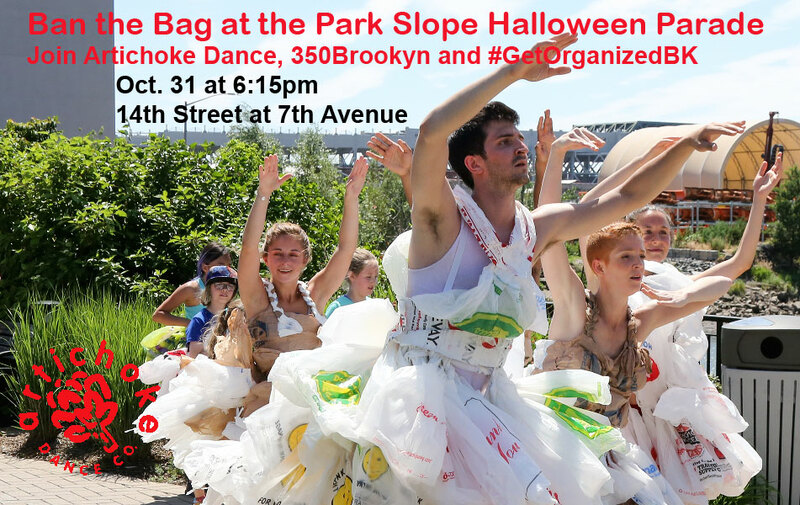 We’ll join with Artichoke Dance Company who will be parading in their signature plastic bag costumes to draw attention to the damage wrought by plastic waste. Come join in some serious fun! Where: Brooklyn Commons, 388 Atlantic Avenue.